Today, I want to share lesson # 1 from that I learned from network marketing legend, Eric Worre. This is the first lesson in this 10-part mini-series. This lesson is quite perhaps the most important thing I have learned during my 11 years in the network marketing industry. It really did change my life. What is the lesson? 90 days can change your life. His lesson is that you can accomplish HUGE things in your network marketing business by taking massive action over a three month period. He shared his personal story that he earned nearly $980k in 1099-MISC income from his MLM Business because of his achievements during his 90-Day Challenge. As Eric frequently says “slow and steady does not win the race.” I couldn’t agree more. 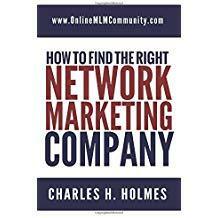 Building a successful network marketing business boils down to “sprinting” in your business for 90-day blocks of time. What I mean by that is that you need to have concentrated, focused effort during those 90-days. This is when your business becomes your # 1 priority. You will live life out of balance during that time. You might not get as much family time or personal time. You won’t get as much sleep either. The t.v. will stay turned off. All waking hours (outside of your job) should be dedicated to building your business as quickly as possible. This allows you to build rapid momentum in your business. You see, most people kind of “dabble” with their network marketing business. They work their business a few days a week (if that), or an hour a day. They never really “sell out” to the idea and burn their bridges. As a result, they never really achieve the results that they could with their business. Remember, part-time effort equals part-time income. Yet, when you study the most successful people in our industry you will quickly discover that they took MASSIVE ACTION for short periods of time. When I say massive action, I’m talking about working the business six to twelve hours or more a day, seven days a week. I’m talking about contacting 30, 50, even 100 prospects a day about your products and business opportunity. I’m talking about showing three, five, even ten or more presentations per day. When was the last time you did that in your business? Massive action means you spend 90% of your time calling prospects, showing presentations, following up, closing prospects and training your team. Sorting through files and cleaning your home office does not count. Here’s the takeaway from this lesson. Set yourself a 90-Day Challenge for your business. Write down your goals. Determine what you want your business to look like 90 days from now. Once you do that, develop a strategy you can follow to achieve those goals. Block off time each day to get the work done. Clear out your calendar and manage your time effectively. Will it be inconvenient? You bet. Will it cut into your family time? Yep. Will it disrupt your life temporarily? You know it. But will it be worth it? Only you can answer that. But what if Eric is right? What if the 90-Day Challenge really could change your life? What if 90-days from now you could quit your job and go full-time in your business? What if you could replace your full-time income? Would that be worth the sacrifice? In summary, Eric Worre taught me the concept that 90-days really can change your business and life. If you really want to get BIG results in your business you have to be willing to do what you’ve never done before. You need a goal, a game-plan, and most importantly the discipline and commitment to follow through with your 90-Day Challenge. If you can do that, you will completely transform your life and business in the next 90 days. What are your thoughts? What do you think about Eric Worre’s lesson that 90 days can change your life? Leave a comment and let us know. Disclaimer: Individual results will always vary. This first lesson of your mini-series is very thought – provoking. I think you really need to wrap your head around what it will take for those 90 days if you want to truly be successful in network marketing. For people with full-time jobs, family obligations or other concerns, this can be a bit scary. After reading this, I feel a need to read more about Eric Worre. Once again, it boils down to discipline. Plenty of people who had jobs have done very well in networking. I think having a job is a good thing. It pays the bills and forces you to work smart in your network marketing business. Now, I see why Eric Worre is considered a legend in the network marketing business industry. Even though the 90 Day Challenge is intense, I see why it is necessary to make a MLM business successful in this industry. 90 days can not only change the direction of a business, but your life as well. It will be interesting to listen to what he said in his 10 part mini-series.